Eschscholzia caespitosa is a diminutive poppy that is often found along the trails of Southern California. The Tufted Poppy grows in areas that become extremely dry in the summer. I have seen Eschscholzia caespitosa growing on south facing shale scree as well as heavier clay soils. In smaller gardens and rock gardens, using Eschscholzia caespitosa instead of Eschscholzia californica can help to keep the garden more tidy. Tufted Poppy Seed will be harder to find but it is generally available. Using Eschscholzia caespitosa in addition to the California Poppy will extend the garden's blooming season as they don't bloom at quite the same times. 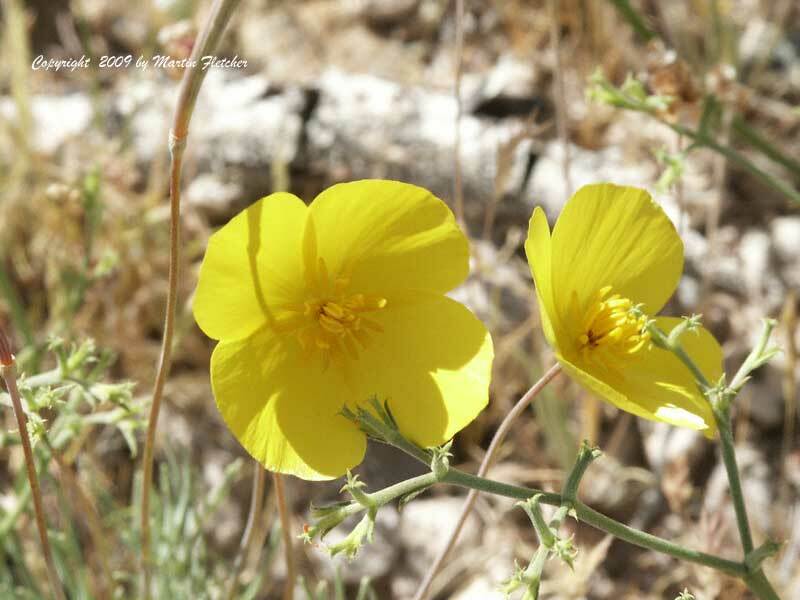 Small yellow orange flowers of Eschscholzia caespitosa known as Tufted Poppy or Foothill Poppy. High resolution photos are part of our garden image collection.